The pictures on this page are from Strike Oppose, an exhibition organised by the Barjeel Art Foundation and held at the Maraya Art Centre, Sharjah, in 2011. The images and accompanying notes come from the exhibition's online catalogue which contains further information and more examples. When spoken, the words “strike oppose” sound like the phrase “strike a pose”, a fashionable instruction to pretend a smile or expression for a camera. It is upon reading the words separately that one realises each word connotes resistance. Strike has a range of meanings: to hit; collide; attack; eliminate something from a record; refrain from working to voice demands. Interestingly, the word pose, which is a particular way of standing, sitting or positioning oneself, is embedded in the word oppose, which means to refuse or reject. It is astonishing how appropriate these words have become in the context of the Arab world in 2011. Up until two months ago, and for the past 30 or so years, many Arab regimes projected a façade of stability. Countries like Egypt and Tunisia were not regarded as targets for an explosion of popular discontent and instability as long seen in places like Lebanon and Iraq. Authoritarian Arab regimes were, if you will, posing for their people and the world with a confident smile, behind which lay a grim reality: struggling, disgruntled citizens were craving freedom, answerable government and an end to corruption. When I came up with the concept for this show in early January, I could not have fathomed that in a little over a month, two stagnant Arab regimes in Tunisia and Egypt would tumble at the hands of people. I am writing this introduction just hours after Egyptians and the world witnessed the toppling of 30-year president Hosni Mubarak, who clung to power with the use of brute force and under a feeble guise of democracy. The regime’s posture finally crumbled as the country’s voices mobilised in peaceful opposition of the status quo. This exhibition brings together numerous Arab works of art that convey themes of cultural and political resistance as well as engendered indifference and acquiescence with the state of affairs. The frustration of Arab people is conveyed powerfully in an aptly entitled piece “Demo(n)cracy” by French-Algerian artist Kader Attia, who has taken part in anti-government demonstrations in Algeria to demand balanced reform that includes the country’s greater population. 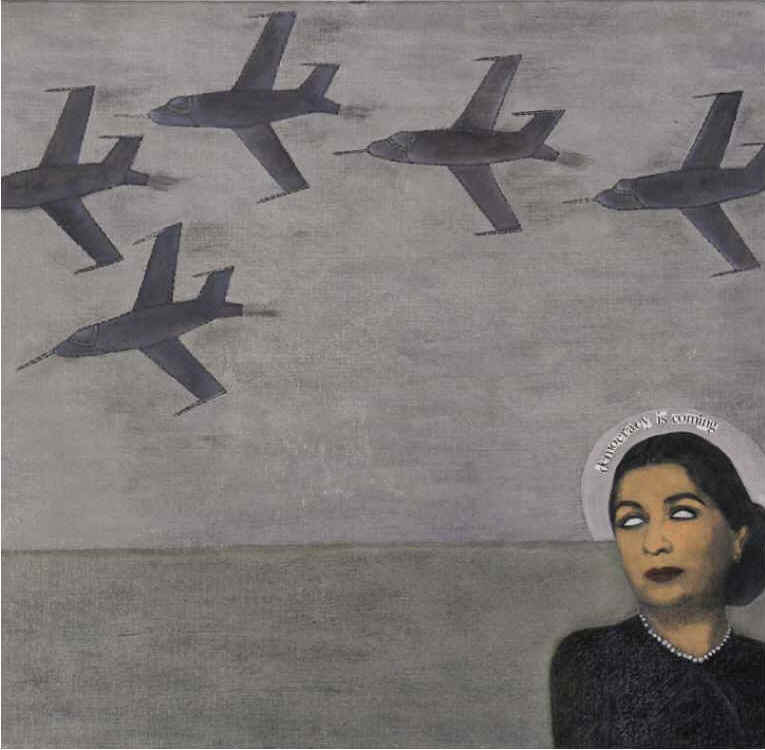 Egyptian artist Huda Lutfi’s 2008 work “Democracy is coming” also intuitively expresses the popular opposition developing in the backdrop of the Egyptian regime. As Arabs opposed regimes this year they’ve also caused to be challenged global stereotypes about their religious fanaticism, violent nature and apathy; many pieces in this show cleverly provoke viewers to rethink the stereotypes they have formed due to media, cultural and political influences. Egypt’s Tahrir Square protests flooded airwaves, news feeds, Twitter and Facebook feeds with footage, photos, sounds and voice recordings openly exchanged on a scale not known before in history. The chaotic exchange broke new ground in quashing stereotypes, highlighting with precision ideas of empowerment, tolerance and the strength of peaceful protest. These ripples of change can no longer be kept at bay or put offline. Acclaimed Egyptian artist Huda Lutfi draws inspiration from her vocation as a cultural historian, giving a unique flavour to a diverse body of artwork including painting, collage and installations. Lutfi, born in Cairo in 1948, often focuses on the historical representation of the female form in everyday life. She typically mixes historical texts with imagery taken from Pharaonic, Coptic, Arab, Mediterranean, Indian and African cultures. Working much like an urban archaeologist, Lutfi finds and utilises icons and recognisable objects - plastic dolls, broken chair legs, crystals from broken chandeliers - and re-contextualises them. In doing so, she revisits the passing of time and reinvents cultural identity in Egypt. Holding a PhD from McGill University, Lutfi is an associate professor of history at the American University in Cairo. 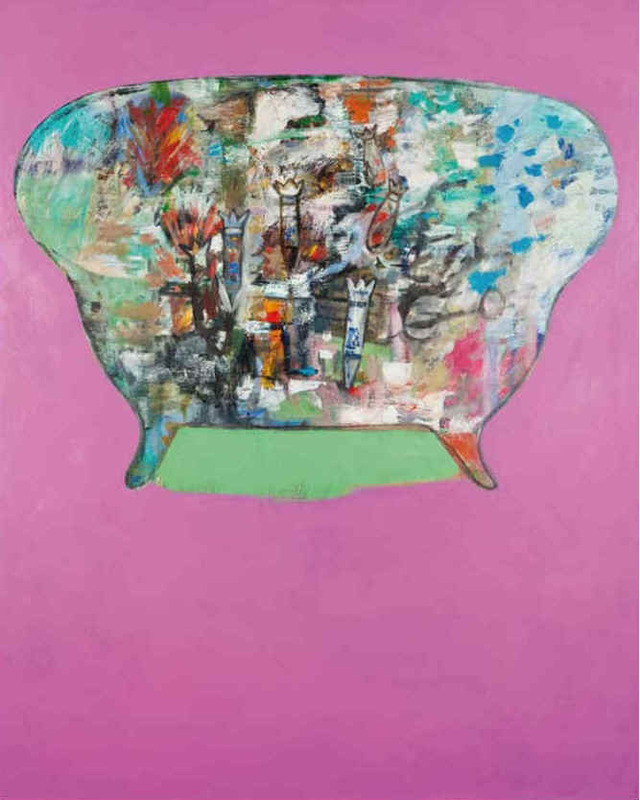 Iraqi artist Kareem Risan reflects on the complexities of Iraq’s turbulent cultural history through periods of tragic destruction, resurgence and growth in his paintings and book works. Born in Baghdad in 1960, Risan worked out of Baghdad amid the escalation in violence and political turmoil following the U.S.-led invasion in 2003. He left in 2005 and currently lives in exile, travelling between Jordan and Syria. Risan uses art making as a way to capture the shifting social and physical landscapes of his homeland, highlighting the carnage caused by war. 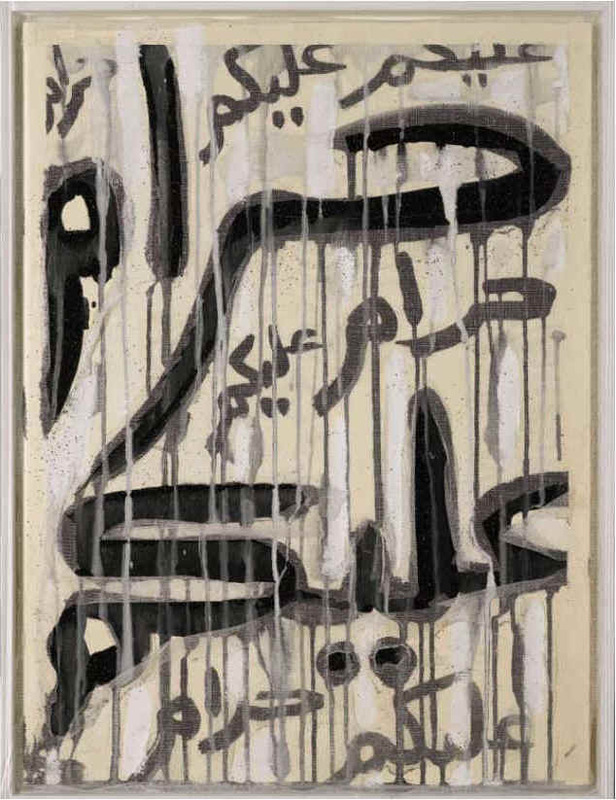 His technique, drawing on the nuanced history of modern painting in the Arab world, combines regional motifs and abstract modern forms. Often weaving text and drawing, with heavy layers of paint and saturated hues, Risan narrates a story of the after-effects of war through colour and form. Layers of subdued greys, blacks and browns with splashes of blood red reflect Iraq like an injured body with an indefinite recovery. Risan has participated in Word into Art at the British Museum, as well as numerous shows in Tunisia, China, Jordan, Denmark and Paris. 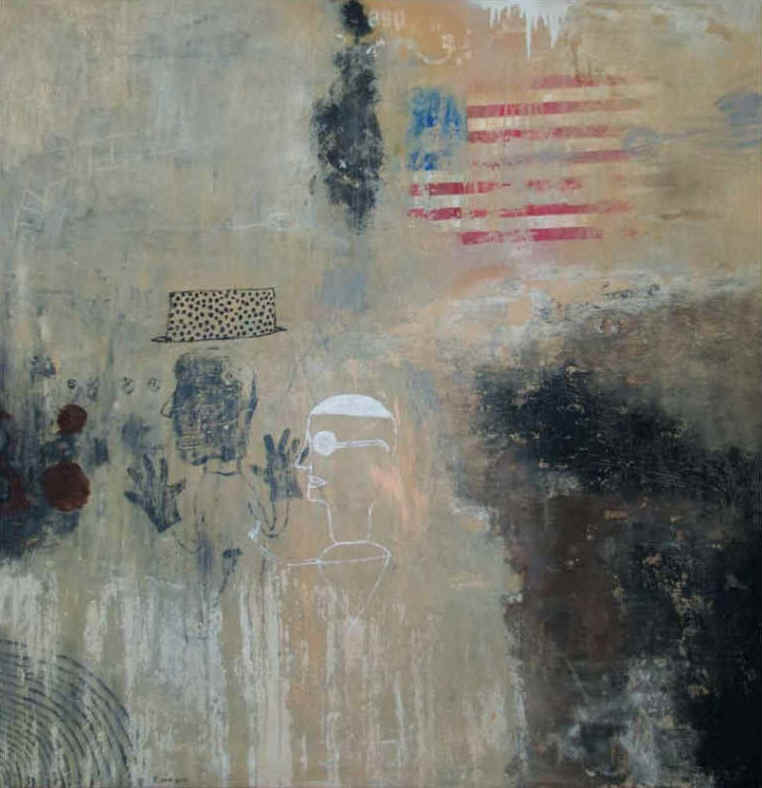 Iraqi-born artist Ahmed Alsoudani has earned admiration in global art circles for his abstract and turbulent paintings that deal with war, atrocity and the thin line separating life and death. Alsoudani, who was born in Baghdad in 1975, sought political asylum in the United States in 1999, and now lives in Berlin. His paintings and drawings ruminate on Iraq’s troubled history but manage to display more universal themes of struggle, despair and destruction through their creation of ethereal landscapes and bursts of bright colour. Alsoudani includes static planes and solid shapes in his paintings, which draw inspiration from the works of 17thand 18th-century European artists, as well as Francisco Goya, Pablo Picasso and from Middle Eastern art, literature and contemporary poetry. Major global collectors have taken note of Alsoudani’s distinct and extraordinary works of art. He was named to Forbe’s Magazine’s “Watch List” as one of the most-collectible emerging artists, and his work has been featured in numerous global shows including, notably, the Saatchi Gallery. Egyptian-born artist Fathi Hassan is recognised for mixed-media paintings, drawings and installations incorporating the written word. This piece is part of a series of works carrying the theme “Haram Aleikum”, an Arabic phrase that can be roughly translated as “Shame on You”, but expressing broader themes of pity and forbidden practice. Hassan, who has lived in Italy since 1984, uses the series to reply to his experience as a North African residing in Europe, as well as to the stressed politics plaguing West and Middle East ties. Hassan, born in Cairo in 1957 to a Nubian family, often avoids emphasising the meaning of words in order not to restrict his intentions while heartening the imaginations of the viewer. He sometimes covers his canvases with phonemes – the smallest units of sound in a language – and often includes Arabic, Indian or Latin numerals referring to key dates in his personal life or marking historical events of the places he has lived. Moroccan photographer Hassan Hajjaj has won extensive praise for photographs that mesh stereotypical images of Arabs with icons and brands of contemporary fashion. Born in 1961 in Larache, Morocco and living much of his life in London, Hajjaj often reflects on the relationship between the Orient and the Occident in passionate photographs that include elements of fashion, Moroccan street culture and consumer iconography. 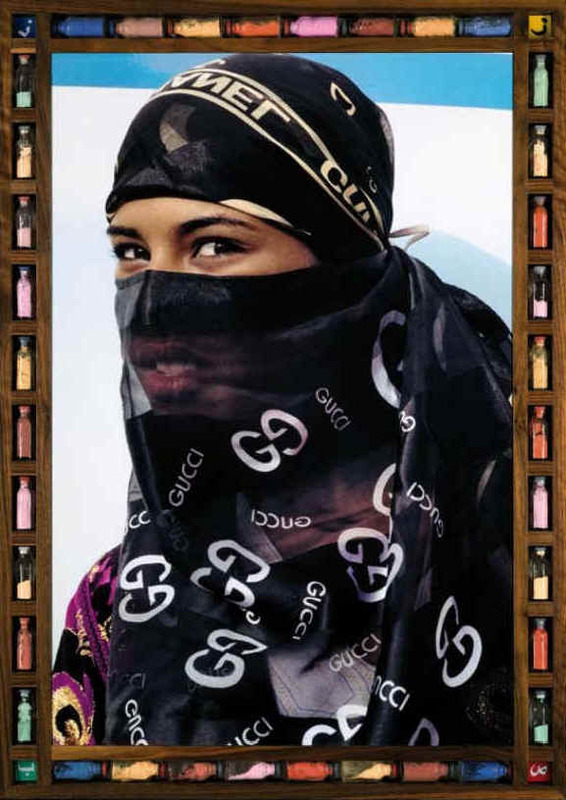 He often depicts women donning traditional Islamic attire augmented with explicitly Western fashion labels. In doing so, he emphasises the power of branding and leads the viewer to consider and challenge pre-conceived stereotypes. Hajjaj is also a designer, having launched his own fashion label R.A.P. in the 1980s. He designed the ‘Andy Wahloo’ bar-restaurant in Paris, and has produced furniture from recycled North African artefacts. Hajjaj has showcased his work in group exhibitions in Belgium, London and Dubai, as well as held solo shows in Casablanca, Marrakesh, Mali, London and Dubai. 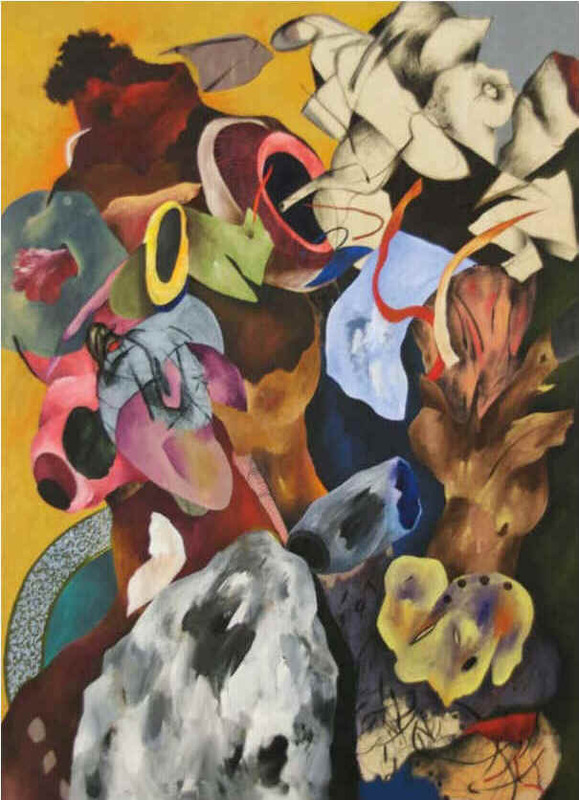 One of Bahrain’s foremost artists is Abdul Rahim Sharif, whose paintings have expressed such themes as alienation, indifference, hardship, introversion and emotional disconnection using vibrant colours. Born in 1954 in Manama, Sharif has also lived in New York. Considered by Christie’s as one of their leading artists, Sharif’s paintings are a mixture of vibrancy and despondency; he often creates an underlay of vivid hues that bleed through surfaces of muted and diluted natural tones. This technique creates an unstable undercurrent of colour, form and texture. His work has been exhibited in the Middle East, Europe and Asia, including solo exhibitions in Bahrain, New York, Sydney and Paris. A founding member of the Bahrain Arts Society, Sharif completed a Masters of Fine Arts at New York’s Parsons School of Design in 1978. 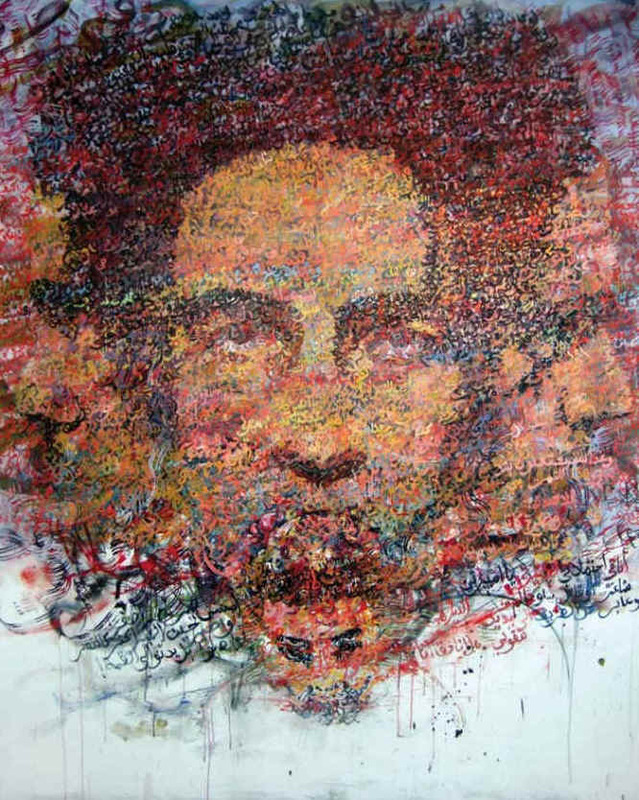 Moroccan artist Zakaria Ramhani creates forceful images of faces on canvas by using Arabic calligraphy, sometimes combined with French and English text, to create layers of readable and non-readable prose shaped into faces. 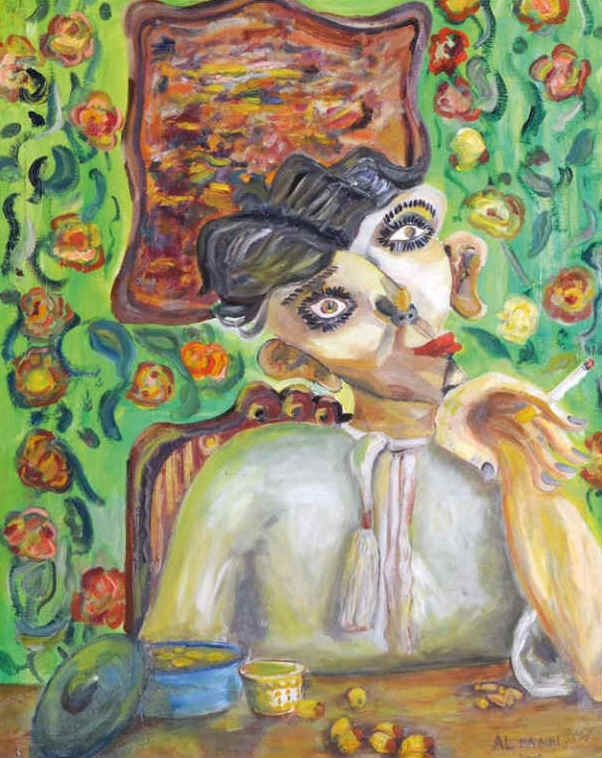 Ramhani has an original style; the colourful, mesmerising portraits he produces draw in the viewer and are meant to evoke feelings of idleness and desolation. Ramhani, who participated in a creative residency at the Cité Internationale des arts in Paris in 2006, has taken part in numerous exhibitions, among them in Paris, Dubai and Egypt. Emerging Omani artist Abdul Rahman Al-Ma’aini employs intricate geometric design and expressive brush techniques in his vibrant and colourful paintings. Born in 1975 in Oman, Al-Ma’aini uses freehand drawing with staggering perfection in his abstract painting, while brilliant colours explode from the canvas, creating visually stimulating works. The Dubai-based artist, a member of the Emirates Fine Arts Society, has displayed work at various group shows in the UAE. This elaborate and atypical piece features what appears to be a man captured in an obscure pose and decked in women’s makeup. Painting in a bold, expressive style, AlMa’aini has gained acclaim for his artwork, which have been featured in group exhibitions in Switzerland, Spain, Sharjah, Dubai and Abu Dhabi.